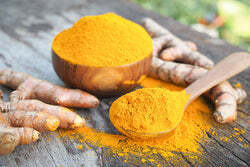 A superfood traditionally grown in India, turmeric has a warm aroma, bright color, and rich, peppery flavor that has been a staple in Middle Eastern and Southeast Asian cooking for thousands of years. Part of the ginger family, turmeric has become a popular spice in the western world too because of its great taste and variety of health benefits. 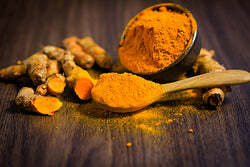 Turmeric extract (Curcuma longa) contains calcium, iron, and magnesium and offers valuable support for your body's immune and inflammatory response. * It is a versatile addition to many snacks and meals and can be added to smoothies, dairy products, cereal, sausages, pickles, relish, baked goods, teas, and other savory products. Most of these products use turmeric for both coloring and flavor. Nature's Lab Organic Turmeric is non-GMO and gluten free. A versatile addition to many snacks and meals, turmeric is not only used as a classic spice, but can also be added to smoothies and juices as well as energy bars, oatmeal, baked goods, and even cereal! For those interested in a supremely focused option with 95% standardized curcuminoids (the awesome active ingredients), please check out Nature's Lab Turmeric Extract with Curcumin C3 and BioPerine! 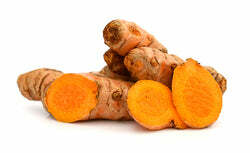 Other Ingredients: Organic Turmeric Powder (Curcuma longa). Free of: Salt, Dairy, Eggs, Peanuts, Tree Nuts, Fish, Shellfish, Yeast, Wheat, Soy, Gluten, Titanium Dioxide, Artificial Colors and Flavors. Manufactured in a facility that also processes soy, milk, fish and shellfish.